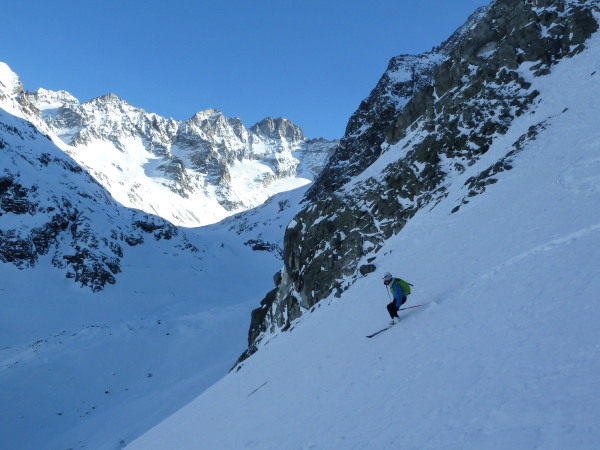 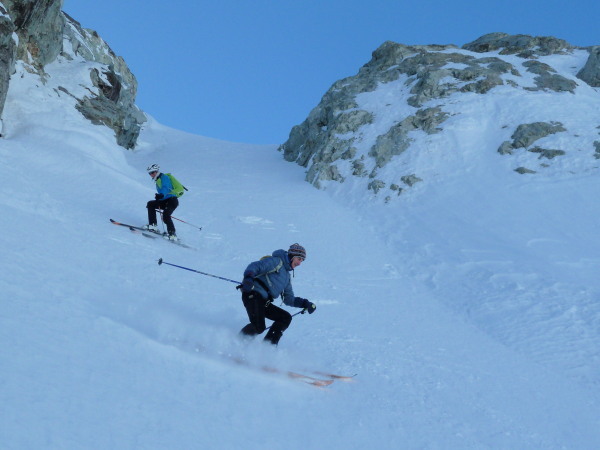 Ski touring today up the Glacier des Pieces to the Vignettes hut. 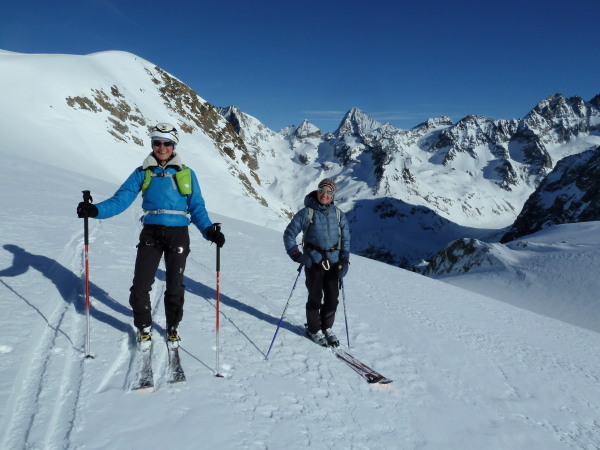 At the Col des Vignettes we bumped into friend and local guide Josette, and teamed up for a very sociable ski down the Vuibé glacier. 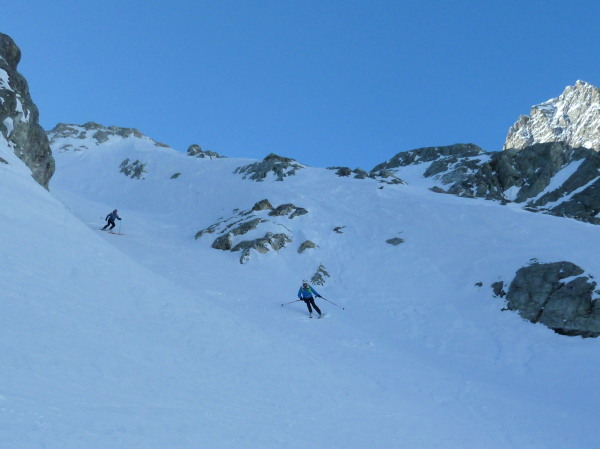 This passes through some amazing scenery with some quite steep bits, and was completely untracked - a great descent.